Leasing a new Mazda vehicle has never been easier than with the auto financing team here at Oxmoor Mazda. While a new car lease isn't for everyone, an auto lease may be the right fit for some Louisville, Kentucky customers. If you prefer lower monthly payments or enjoy driving the latest model year after year, then leasing a Mazda vehicle may be right for you. At Oxmoor Mazda, we are proud to make the leasing process easy as possible by helping customers get leases with financial and mileage terms that work for them. Oxmoor Mazda is happy to provide new auto leases for vehicles across the Mazda lineup. Cruise along Interstate 71 in a new Mazda Mazda6, Mazda MX-5 Miata, or any other Mazda vehicle. 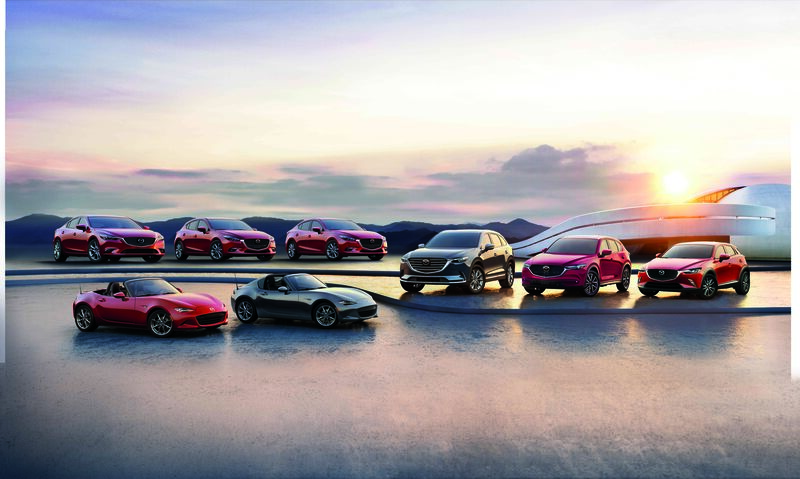 Mazda vehicles are known for their perfect mix of affordability and efficiency that meet driver expectations. Find the Mazda vehicle that's right for you by visiting our Louisville, KY dealership for a test drive today! Oxmoor Mazda offers a variety of auto financing options for customers throughout the Louisville, KY area. Come by our Mazda dealership and speak with our team of auto financial professionals today and see if leasing a Mazda vehicle is right for you.